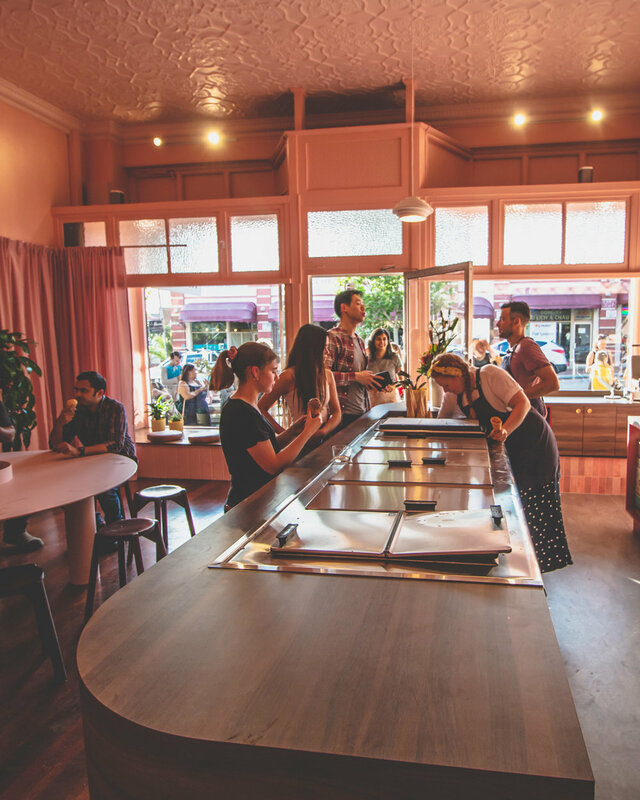 Situated in Northbridge Perth, this boutique ice cream shop required interiors that were sophisticated yet fun. Enticing all year around; the space needed to be warm and welcoming in winter but still fresh in summer. This was achieved through a layering of textures, colour and lighting.